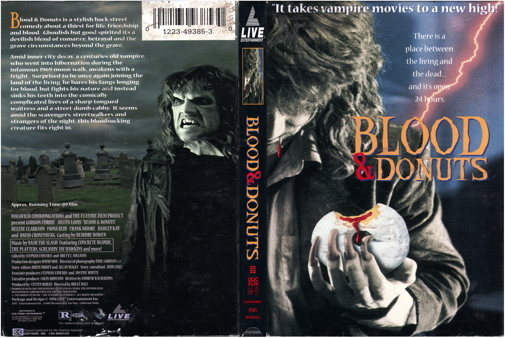 This Canadian production stars Gordon Currie as a charming but awkward vampire who is awakened from a decades-long nap by a runaway golf ball and eventually tries to readjust to life in the '90s with the help of a nutty, philosophical cab driver (Justin Louis) and the lovely proprietor of an all-night downtown donut shop (Helene Clarkson). The prospect of a relationship with the smart and spunky pastry wrangler is hindered, however, by the presence of Currie's former lover (Fiona Reid), to whom the last 25 years have been somewhat less kind. Director Holly Dale gleaned a surprising amount of humor from this premise, including a cameo from Toronto's duke of dementia David Cronenberg as a sleazeball gangster who constantly berates his underlings.